We appreciate your business and we want to reward you when you help us grow. You’ve probably told all of your friends how great your Volkswagen is and about the service too. When your friends are in the market for a great vehicle, send them to Roussel Volkswagen! 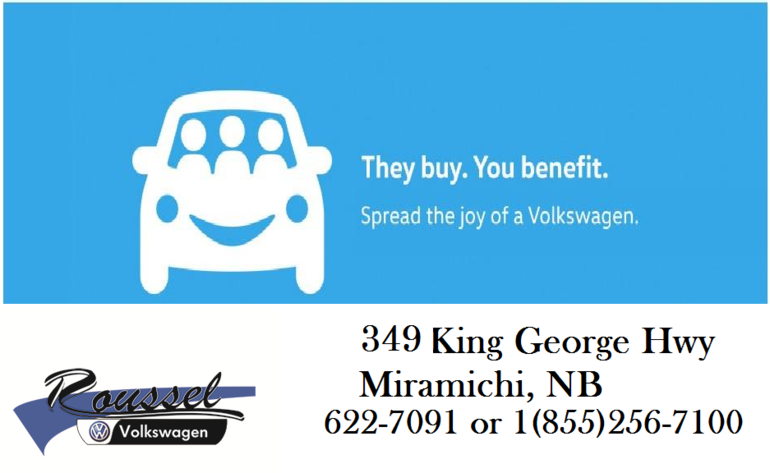 Not only will they find a great deal on a reliable Volkswagen, but you’ll enjoy $250 in Roussel Volkswagen bucks towards Volkswagen parts and service with us! *Certain conditions apply see dealer for details.